We have something to tell you… Something you’ve probably been wondering about for ages. Something that keeps you up at night. Perhaps you just assumed it was one of life’s great unexplained mysteries. But now you can finally rest at ease because it will all be revealed! We’ve dug deep and asked the hard questions. No stone was left unturned and we even went straight to the top. Are you ready? It’s time to learn the secret behind the Jenman "E". You might have noticed it’s not like others E’s, in fact, it’s rather unique. Was it an accident? Did it go rogue? Or does it have a specific message it wants to share and a story it wants to tell? It’s been waiting for this moment. Click on the link below to uncover the truth. 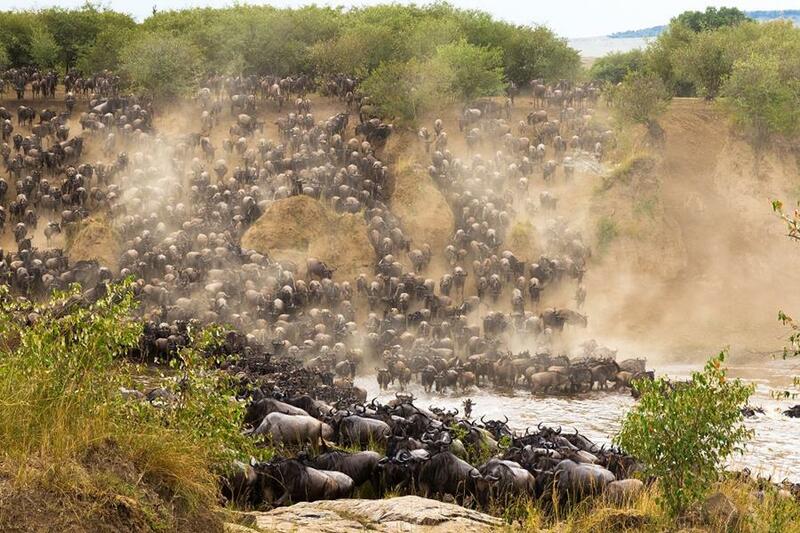 The Wildebeest migration is the most famous migration in Africa, if not the world, and with good reason. Every year over a million of these ungulates move across the plains of the Serengeti from Tanzania’s Serengeti National Park to the Maasai Mara National Reserve in Kenya, in a breathtaking journey of sheer guts and determination. With as many as 250,000 wildebeest unable to complete the journey, and up to 8,000 births a day, over a distance of 2,896 km covered, it is a journey of filled with contrasts. Find out when the best time is to visit and what you are likely to see. 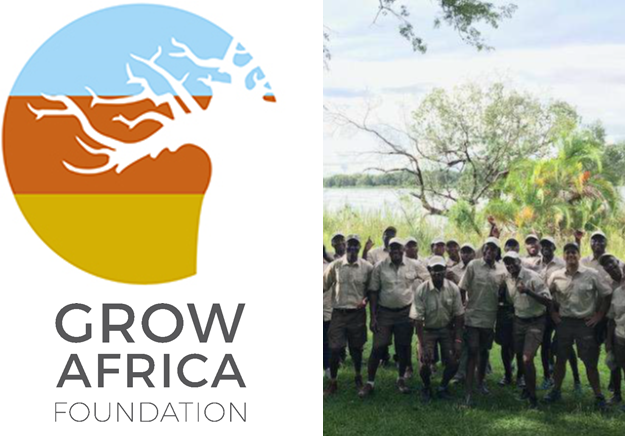 Earlier this year the Grow Africa Foundation redefined its vision and mission statement “To be the Bridge between Challenges & Solutions, Good Will & Action”. Refreshing the logo was a part of that redefinition. The new design is fresher and cleaner and symbolises the sustainable growth we have set out to achieve. The foundation was co-founded by Jenman African Safaris and Hideaways with the aim to make a positive impact in the places that we travel to. The new logo incorporates the Baobab tree from the Hideaways logo and the three colours of the Jenman logo that symbolize the areas we travel to. Click the link to learn more about our vision. We are proud to work with some of the best guides in the industry. In order to keep them (and us) at the top of the game, staff development is very important at Jenman African Safaris. We arrange an annual guide training that takes place over three days, where our most ambitious and new guides come together to learn, share and socialize. It's also a time for showing our appreciation with a fun party at the end. This year 40 guides and drivers got together in Victoria Falls and were trained by Jeromy our Head of Operations, Valerie our Tour Manager and Katja our CEO. Read more to find out about what happened at this year's event. Are you ready for trade season? Two of Africa's biggest travel trade show are coming up, will we see you there? First, it's WTM in Cape Town from 18 to 20 April and then Indaba in Durban from 8 to 10 May. 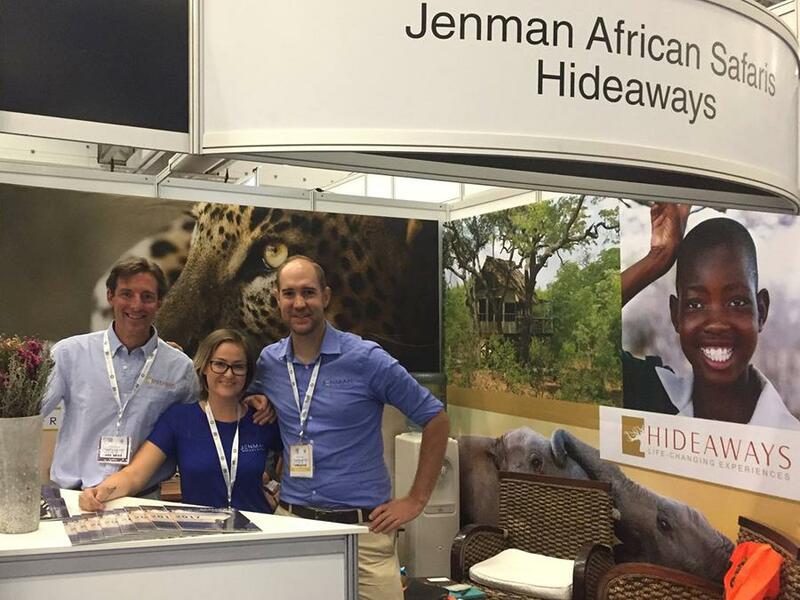 Jenman African Safaris will be exhibiting at both of these illustrious events and we are excited to share with you our new product offerings as well as some exciting news. 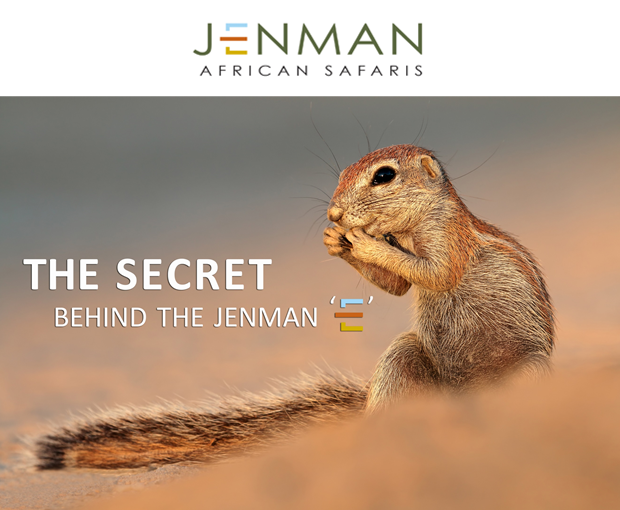 If you haven't scheduled your meeting already email info@jenmansafaris.com. We look forward to seeing you there! 2017 GUIDE OF THE YEAR: AND THE AWARD GOES TO... LUCKY MAFANA! For the 2nd year in a row, Lucky has won Jenman African Safaris Guide of the Year. It's not thanks to luck but rather consistent hard work, excellent guest reviews, and going that extra mile in everything he does. He always has a smile on his face and has been guiding for us since 2014! His prize is two nights for two at Elephant's Eye, Hwange a luxury eco-lodge in Zimbabwe. Well done Lucky, and thank you for the many years of excellent service you have provided to Jenman African Safaris. We interviewed Lucky last year, click the link below to find out more about him. Jenman African Safaris staff had an exercise book drive for the pupils of Dingani Primary School in Zimbabwe, a school of just over 300 pupils in dire need of equipment and maintenance in order to continue the education and development of their pupils. 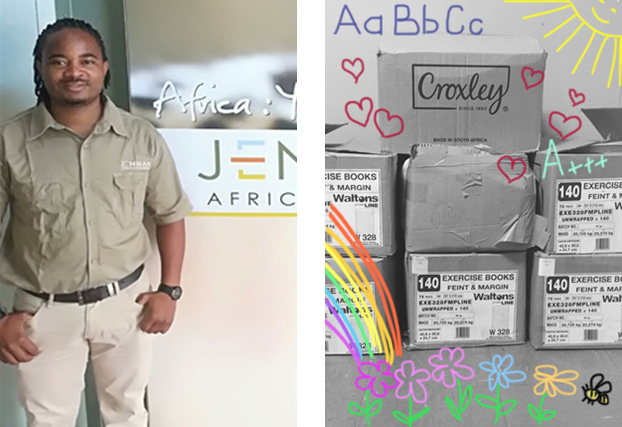 Jenman staff members personally donated funds towards the buying of A4 Exercise books for the students, and the Grow Africa Foundation matched their donation reaching a total of 960 books. These books were identified as a much needed item by the school, and will play a role in making the goal of a 50% pass rate by 2021 achievable. Discover the best of Madagascar with a 10 % discount on selected departures of our 1000 Views of Madagascar tour. Special is only valid for maximum 6 pax per departure. 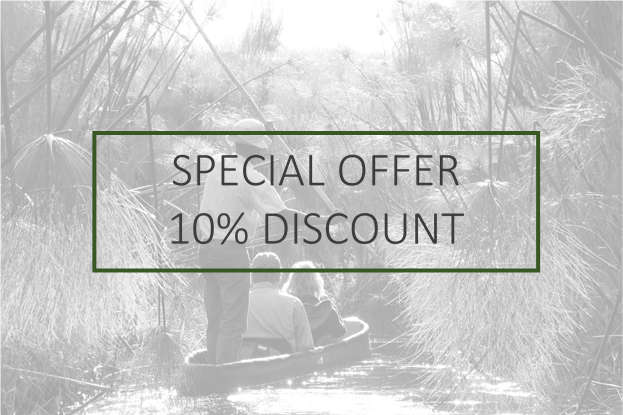 10 % discount on the per person tour price for selected departures for 1000 views of Madagascar - Excludes all other Southern Africa, East Africa, Madagascar guided group tours, tailor-made, private guided lodge safaris & packages. Explore the best game areas in Tanzania, with a 10 % discount on our Tanzania Wildlife Breakaway tour. Validity: For bookings made from 15th Mar – 30th April 2018. 10 % discount on the per person tour price for Tanzania Wildlife Breakaway tours only - Excludes all other Southern Africa, East Africa, Madagascar guided group tours, tailor-made, private guided lodge safaris & packages. We are thrilled to let you know that our 2019 brochure will be ready in April 2018! We look forward to sharing it with you. Also, in the upcoming months keep your ears peeled, as we have an exciting new product range launching. But for the moment we will leave you with this; Jenman Select.